The old trendy simple round neck collar and the simple biker jackets was the part of old season people and you must be in look for something quite heavy that should proof you the type of inspiration in front of all young friend around you. 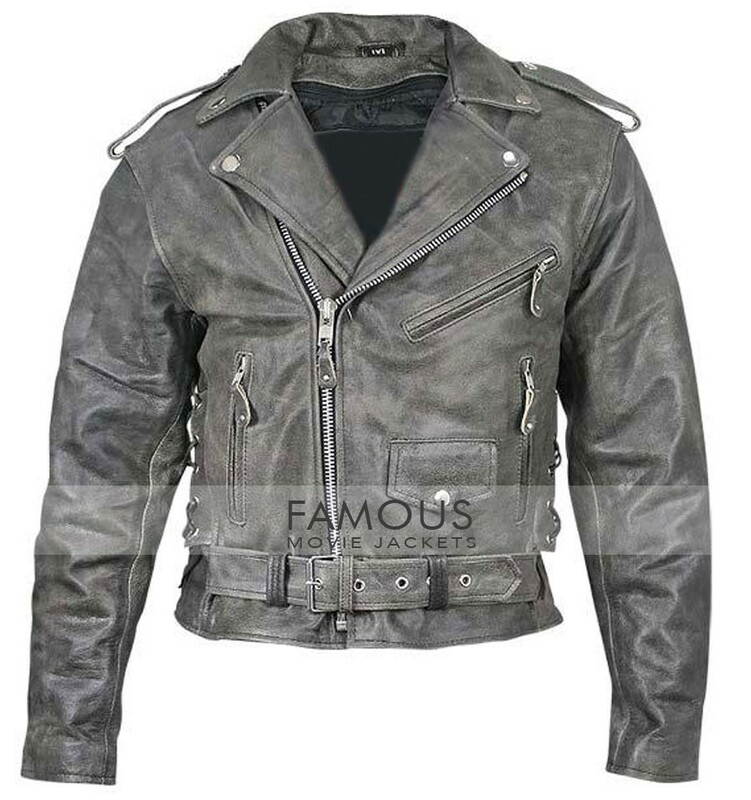 The distinctive and inspiration to elegant Men’s Belted Distressed Black Biker Jacket is here with the replacement of word attraction at its peak.Wearing this leather black rough leather jacket will give you a chance to purify the soul and look the best of all with no doubt.It is famous movie jackets surity and gurantee that you will not find such a cloth anywhere that have the quality to inspire in this season.The season is latest now and you should seriously go for hotÂ latest clothes instead of wearing old styled simple leather jackets.This Belted Distressed Black BikerÂ Jacket has shirt style collar with away centre zipper closure in front and tilted zipped plus patch pockets for things to be kept.The belted part is also given at vest for better fitting.Get it now in good price.!! rough in looks and style. 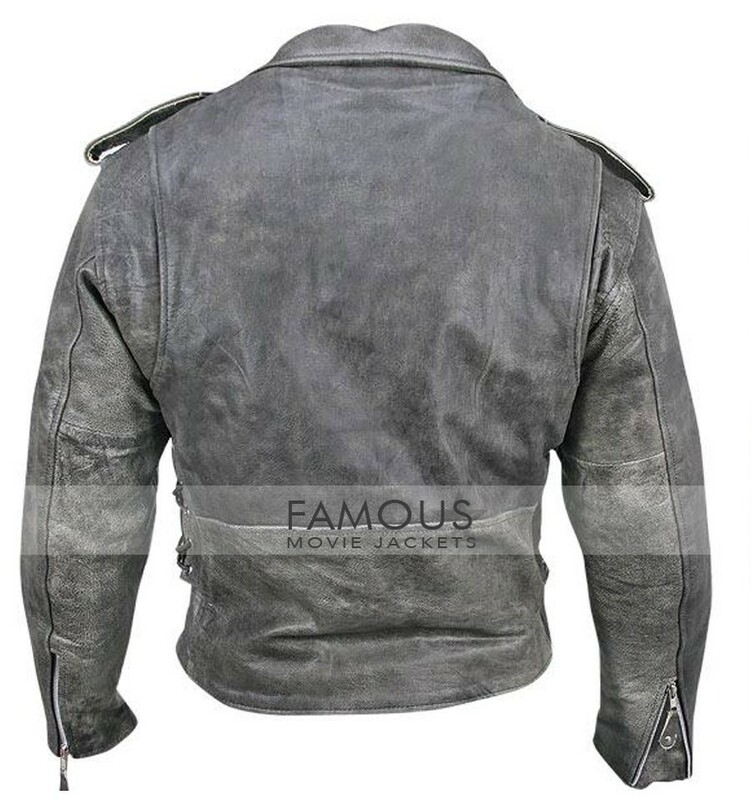 The up belted distressed black jacket is truly the unique new design of this season which proved famous movie jackets to have a better craftsman than other in seconds.You guys are too good.